We are proud to welcome a new artist on Echocord, STL aka Lunatik Sound System aka Stephan Laubner. Stephan is mostly known from his very famous label Something. He has also been releasing on labels like Perlon, Sushitech, Styrax, Echospace and lately on the German label Smallville. “Travelling Dubs And Echoes Ep” contains 3 tracks. The A-side is a long dirty Dub-Techno track that just goes into your mind, for listening and dancefloor. B1 is a Dub floating Ambient beautifull peace of track. B2 is the strongest track on the ep, which is a powerfull stomping track, which is a remix of the B1 track Sub Zero. 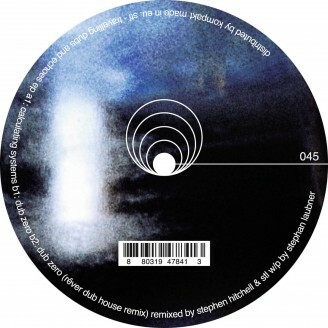 The remix is done by STL himself and Stephen Hitchell from the famous Echospace of Detroit. Perfectly fit for the dancefloor.